Kim Mattice Wanat is a performer, teacher and director. She founded Opera NUOVA in 1998 and has acted as the Artistic and Managing Director since its inception. She has produced and directed several of Opera NUOVA’s productions including Bock & Harnick's Fiddler on the Roof, Smetana’s The Bartered Bride, Offenbach’s La Périchole, Britten’s A Midsummer Night’s Dream, the Canadian Première of Mark Adamo’s Little Women and all of NUOVA’s school touring productions, most notably, a Canada Council commissioned opera written by NUOVA alumnus Isaiah Bell entitled The Lives of Lesser Things; and Dean Burry’s Isis and the Seven Scorpions & and The Brothers Grimm. 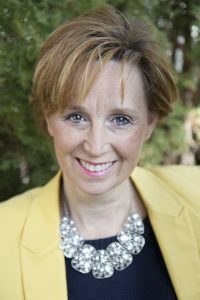 She is presently an instructor at the University of Alberta in the drama department and regularly works as a clinician for voice and choral teachers and as a musical director for musical theatre productions. Her commitment to sharing her expertise with young singers, actors, teachers and choral directors has earned her extensive recognition including Global Edmonton Television’s Woman of Vision Award, The City of Edmonton’s Salute to Excellence in the Arts Award and The YWCA’s Woman of Distinction in Arts and Culture Award. Most recently, she was 1 of 100 Albertans chosen by the Alberta Centennial Celebrations committee who recognized her significant achievement and contribution as a voice teacher and artistic director. In 2006, she wrote and published a vocal pedagogy book entitled, Unleashing the Expressive Resonant Voice!